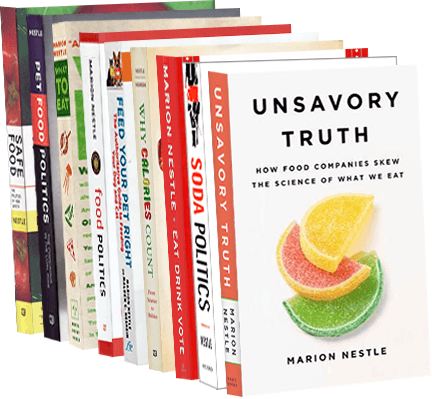 Food Politics by Marion Nestle » What’s up with food and nutrition in 2010? What’s up with food and nutrition in 2010? My San Francisco Chronicle column, now appearing in print on the first Sunday of the month, is also online. Q: What do you think will happen with food and nutrition in 2010? A: I wish I could read the leaves while I drink tea, but the best I can do is tell you which issues I’m going to be watching closely this year. Hunter Public Relations recently asked 1,000 Americans which food-related issues they thought were most important in 2009. The top three? Food safety, hunger and food prices. For the decade, the winner was childhood obesity. Hunger: More than 35 million Americans get benefits to which they are entitled under the Supplemental Nutrition Assistance Program (formerly, food stamps). The economy may be improving, but not quickly enough for millions who have lost jobs, health care and housing. Will Congress do anything this year to strengthen the safety net for the poor? It needs to. Childhood obesity: Rates of childhood obesity may have stabilized, but we all want to figure out how to prevent kids from gaining so much weight that they develop adult chronic diseases. I expect to see more efforts to improve school food and make neighborhoods more conducive to walking to school, riding bikes and playing outside. Food safety regulation: Congress is sitting on a bill to give the Food and Drug Administration some real authority for food safety. The bill does not do what is most needed – establish a single food-safety agency – but is a reasonable step in the right direction. Let’s hope Congress gets to it soon. Food advertising and labels: The long-dormant FDA and Federal Trade Commission are getting busy at last. In the wake of the Smart Choices fiasco, the FDA is working to make package labels less misleading and easier to understand. The agencies have proposed nutrition standards for products marketed to children. These voluntary standards fall far short of my preference – an outright ban on marketing junk foods to kids – but puts food companies on notice that their products are under scrutiny. The FDA is also working on designs for front-of-package labels. I’m hoping it chooses a “traffic-light” system that marks foods with a green (any time), yellow (sometimes) or red (hardly ever) dot. Expect plenty of opposition from the makers of red-dotted products. Meat: The meat industry has been under fire for raising food animals under inhumane conditions, using unnecessary hormones and antibiotics, mistreating immigrant labor, and polluting soil and water. Now it is also under fire for contributing to climate change. Recent films like “Food, Inc.” and “Fresh” and books such as Jonathan Safran Foer’s “Eating Animals” are encouraging people to become vegetarians or to eat less meat to promote the health of people and the planet. I’ll bet the meat industry pushes back hard on this one. Sustainable agriculture: The back-to-the land movement has loads of people buying local food, choosing foods produced under more sustainable conditions and growing their own food. The number of small farms in America increased last year for the first time in a century. Seed companies cannot keep up with the demand. It will be fun to follow what happens with this trend. Genetically modified (GM) foods: My book, “Safe Food,” comes out in a new edition this year, so I am paying especially close attention to debates about GM foods. The FDA’s 1994 decision to prohibit labeling of GM foods continues to haunt the food biotechnology industry. By now, nearly all American soybeans and sugar beets (95 percent) are GM, as is most corn (60 percent). But when the U.S. Department of Agriculture approved GM sugar beets in 2005, it neglected to perform the required environmental impact assessment. On that basis, environmental groups want to ban further planting of GM sugar beets. The dispute is now in the courts. Chemical contaminants: The FDA has yet to release its report on the safety of bisphenol A, the plastic chemical that acts as an endocrine disrupter. Shouldn’t it be banned? The bottling industry says no. Watch for fierce arguments over this one. Salt: Nutrition standards allow 480 mg sodium (the equivalent of more than 1 gram of salt) per serving. A half cup of canned soup provides that much. A whole cup gives you 4 grams and the whole can gives you 8 grams – much more than anyone needs. Nearly 80 percent of salt in American diets comes from processed and restaurant foods. Companies are under pressure to cut down on salt. Will they? Only if they have to. Dietary advice: The new edition of Dietary Guidelines for Americans, which the government publishes every five years, is due this year. What will it say? I can’t wait to find out. Those are the issues I am tracking these days. My one crystal-ball prediction? We will be hearing a lot more about them this year.